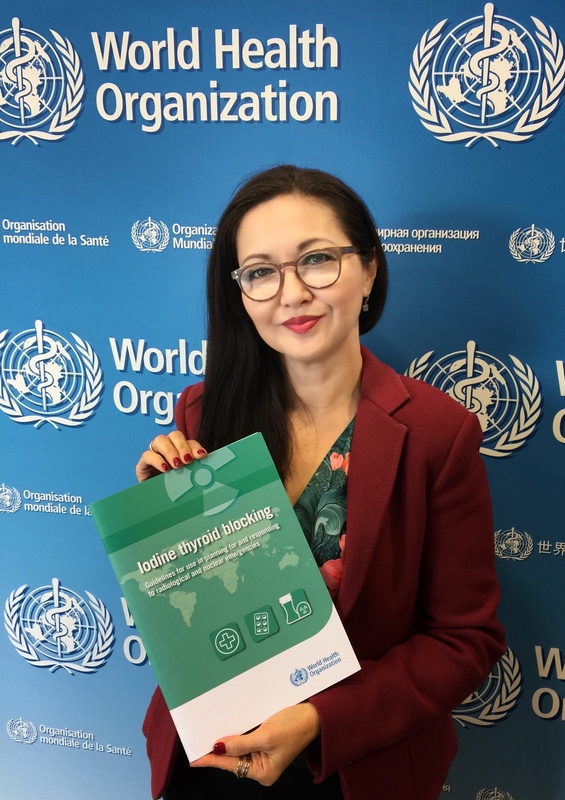 Dr Zhanat Carr, lead author of WHO’s new guidelines for use in planning for and responding to radiological and nuclear emergencies, presents the new publication. Our team specializes in the rapid production of publications. In fact, we work on reducing the time to publication because that is only Step 1 toward effective implementation and support to countries. Then our team can build high-impact visuals, animation, infographics, and other tools for impact. Furthermore, LSi’s learning team can take a guideline and rapidly develop it into a global, scalable, open digital course that uses the Scholar Approach developed by the Geneva Learning Foundation. Our design group has been collaborating with the Radiation Programme since 2003, when we designed the ground-breaking WHO handbook on Establishing a Dialogue on Risks from Electromagnetic Fields. The handbook has since been translated into 12 languages. Photo: Dr Zhanat Carr presents WHO’s new guidelines.